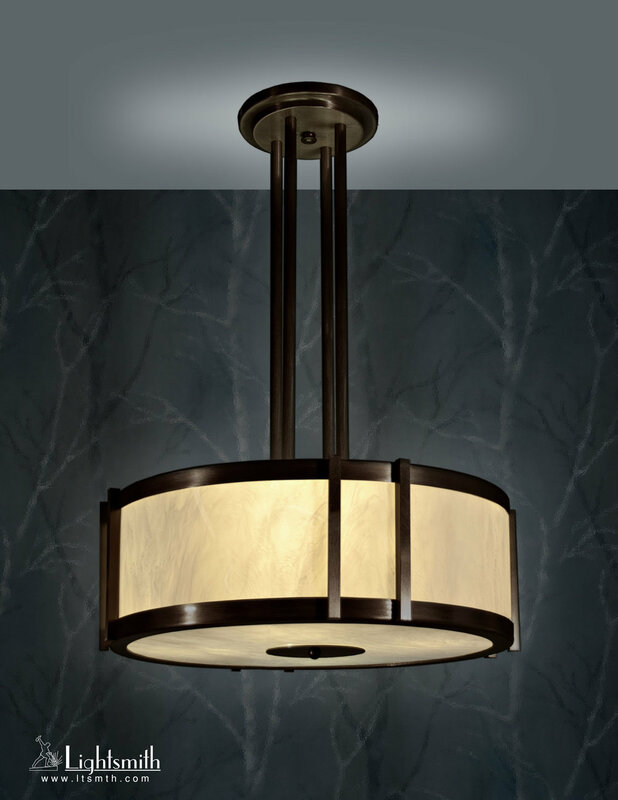 Our Rincon fixtures are contemporary drum shapes. Large diameter spinnings top and bottom of the drum form the frame and simple square staves do the joining. Many acrylic choices to be had!